This Thursday was homecoming day! Dad came home after 3 weeks of rehab. He came home an invalid like his father before him – only difference was the opposite side affected. On Memorial Day, dad had a stroke. His left side, which was his previous strong side – was left totally limp. Speech slurred and mouth droopy. Left eye weakened – and unable to walk - heavy listing to the left. In fact he has ‘resistive’ listing which causes the body to push into the list – making it an even more pronounced list. He’s a total lift, so it has been a trying experience on my own body – particularly my back. It will get easier as we figure out a system. His doctor has ordered a lift – and a specially fitted wheelchair - but that takes time. He’s left with a previous weak right hand and frozen shoulder and a weak right leg and ‘drop foot’ – from his debilitating accident on Christmas eve 2005, when he was hit by an SUV while crossing a street. It took him a full year and then some to recover and rehab. Had to relearn how to dress - eat- walk & write with left hand as dominate side was weak. Lack of immediate blood transfusions, left him with brain damage. But Today is the 3rd day. HOPE has come to our house today! Yesterday, we saw some movement in the Left leg - none prior to yesterday! - except when I tickled the bottom of his foot – it made his knee go up! But TODAY - miracles happened! I asked him to lift his left leg while still in bed - like yesterday - he said ‘I can't’. I reminded him that yesterday ‘he did’! 'Talk to your leg and tell it to lift', I said … ‘he did’ and he lifted his ‘dead’ leg 5 times - even bending at the knee. I caught it on video to prove to him tomorrow when he says ‘I can’t’… that ‘he did’. He did it for the camera at least 5 more times! Yesterday was the first for any movement in his left leg - except for a small twisting of the toes while sitting in a chair on the last 3 days of his 3 week rehab. MIRACLES COME ON THE THIRD DAY! Today – his 3rd day home, during my therapy with him, and after saying ‘I can’t’ – ‘he did’ push so hard against my arms with his weak Right foot, that it rocked the chair back against the wall. So...I kept saying 'push' and ‘he did’ - 10 times – just as hard as the first and harder. Great resistive training! So he says 'Yeah but try it on that leg'..pointing to his dead left leg. I held it up and said 'push'…he said, 'I cant'. I said, ‘Tell your leg to' push'. ‘He did’ - as he pushed against my hand with this supposedly dead leg, I felt the pressure! Ten times he pushed, and each time ‘he did’ – he pushed stronger. I heard the Lord’s message in “My strength is made perfect in your weakness”. With the last two pushes, the chair began to rock against the wall. He was so pleased to feel Strength in his ‘dead’ leg! He's ALIVE!! He's conquered the grave. AGAIN!! …even though he has stated over and over for the past 3 weeks "I WANT TO DIE”. I’m singing Praises to our Living KING! Prior to therapy today, I saw a red bird in my butterfly bush - I remembered that I had seen a red bird there yesterday - but it didn't look like a cardinal. Today I saw it more vivid. It had a red breast and belly - a totally blue head - a ring around the eye. It most assuredly was not a cardinal. "Nonpareil" - meaning "without equal"
The Lord has sent us proof of His Presence! He has granted my heart’s plea for daddy. He has given us HOPE! There is none 'equal' to the ONE TRUE GOD! …NONE! He is 'Nonpareil' - without equal! From the front – this bird looks all red except for some dark gray at the wings and the blue head. But when the other side is revealed – this small bird is adorned and ‘covered’ with a coat of many colors! God showed me in the physical ...again...what He had already given me in the spiritual. My God never ceases to amaze me! He is good all of the time! I told dad yesterday that it was the voice of the Lord that changed my take on his impossible situation. From my limited view - I had said, from the beginning, "I can't do this"... “I cant take care of him like this” …It was simply an impossibility from my weak perspective. And from the very beginning Dad was saying "You can't take care of me." But God told me I can . Dad responded, “Thank you for being obedient.” I have learned that OBEDIENCE to the voice of the Lord – is everything! With GOD!....WE CAN!! WE WILL!! May God rain down showers of blessings on you too, as you BELIEVE! The following Scriptures,that God had me put to memory just weeks prior to dad’s stroke have become a firm foundation to hang my heart on these last three weeks. Psalm 27: 13-14 - I am still confident of this: I will see the goodness of the LORD in the land of the living. Wait for the LORD; be strong and take heart and wait for the LORD. Philippians 4:19 - And my God will meet all your needs according to his glorious riches in Christ Jesus. For all of my bloggy friends who have contacted me through my comments page, and e-mail these last 3 weeks, I thank you for your prayers, concern and constant encouragement! You mean so much to me. Thank you for noticing that I was AWOL. It was reassuring to know that my presence - in His Presence was missed from the BRIDGE here. Even though I had no time or desire to blog - your encouragement kept on coming and it strengthened me and walked me into HOPE. I confess, I was becoming 'sick' for lack of Godsight. But you came and held me up - my virtual support system. I would like to publicly honor all of you - my bloggy supporters during this trying time. Please continue pressing in. I need strength and courage for the road ahead! together, we are STRONG! Divided, we fall. Permission to use the images in this post was granted by Steve Baranoff. 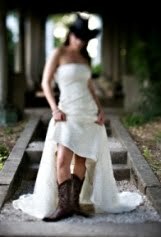 You may find these images and more, on his "Prints" page where his best images are formatted for sale. 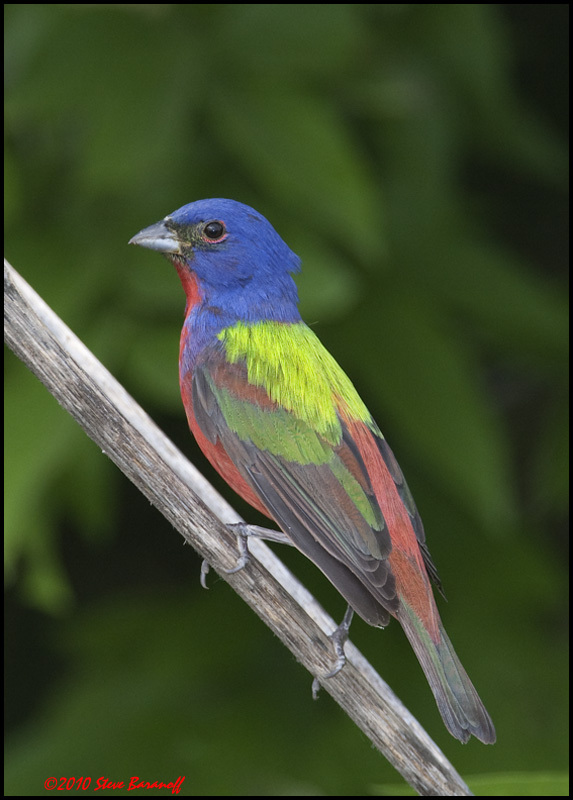 The main webpage with many painted bunting images is at: Birds in Photos.com . Thank you, Steve for the pleasure of your 'gift'...a camera in the hands of God. Halleluyah!....The NAME of thy LORD be praised!...HE is JEHOVAH NISSI & JIREH!.. ALL GLORY & HONOUR be unto you LORD! Thank God for how far He has taken you all, and His faithfulness. There are so many testimonies in this post. Praise God. I have been reading but not commenting on blogs with so much going on here with health struggles. I stand in awe and praise to our Almighty Father for the great testimony here...MIRACLES DO HAPPEN WITHIN TODAY...I know it's a tough road, but God's presence is all around you and I am so elated that your dad has feeling in the leg that has been affected. You are truly an inspiration to me during such a time as this with my husband and I praise God for his infinite mercy and divine intervention in your life, in ours and in all who let him into their hearts. I am so happy that I stopped in to read this...you have touched me in a way that was so needed. Thank you Father through the healing blood of Jesus that Patrina's dad is being healed. Thank you for such a tesimony of faith, hope, belief in you and what you are doing here in this man's life and in Patrina's as she is witness to it all. You have supplied her and her dad with strength and so much more that does go way beyond our understanding. Praise to your holy name on high!!! I love you my sweet sweet friend. My prayers continue to rise every so swiftly up to the heavenlies for your dad and you. Wow. Praise God. There is really NOTHING impossible with God. Beautiful testimony. Praise God.Wonderful testimony! very uplifting! Will Continue to pray for you and your father. When God gave me a Bluebird [out in Shepherd's Walk] on the same day as you - also a [3rd day] in the process of what's happening in my life - it brought tears to my eyes that God would do that for us! Making His Presence known to us so personally in the power of His created masterpieces! He is a HOLY and POWERFUL GOD! I join you in giving Him praise this day! It has been our 'treasure' to walk along side you in prayer and praise through this difficult journey with your Dad - but God is FAITHFUL! I have slumped back into my chair, feeling exhausted. Not from reading your post, but the many challenges that lay ahead for you and your father. It makes my challenges seem insignificant. I think it is time that I return the kindness you have shown towards me. Forgive me if I cannot continue, as I just cannot find the words, other than to simple say, when I will be meditating, I light a candle and will reflect on your situation and send healing thoughts and prayers. May you and your father be kept safe in the hands of the Lord. Yes, we can! I wish you, yours, and your father a great Independence Day! dear patrina...thank you for your visit just now. it has been so long since i have been here and so i never knew about your dad. it just seems like so much a miracle that he is moving his legs. it must be sad though for you to see him so weak. mom and dad golden seem to be getting weaker and weaker each day and this lies heavy on my heart. mom golden is 80 now and is saved but dad golden at 83 still seems to be neglecting to get ready for heaven...this is too hard to bear sometimes. i am so glad for your dad and so glad that you are such a good daughter to him. 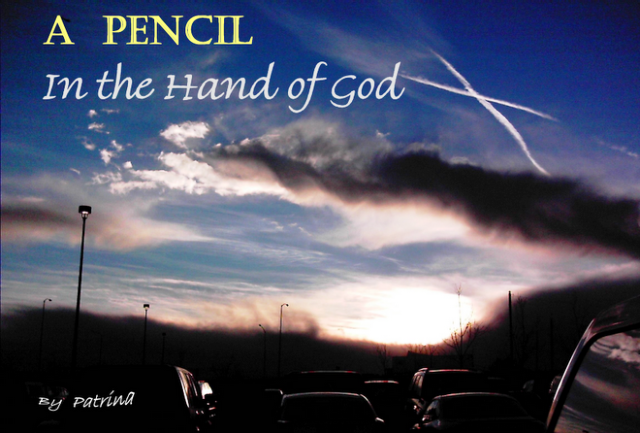 you are the pencil it the hand of the lord patrina! I was deeply touched by your reply. I wish I could do more. Tomorrow morning I will be in meditation and prayer in the garden for you and your father, including another blogging friend in need. May I write you in private? I can be reached via either my blogs, using the blog name and adding @gmail.com. Thanks for visiting the bridge - I've lost touch with you and most others too - been missing in action :) I appreciate your visit and your praise for God's good work in my dad's recovery!! Nice place you've updated here. Really classy looking. Thank you also for adding my place to your sidebar! hero for caring for your father. will cover all the sacrifice. What a praise report! Miracles do still happen and truly Nothing is too hard for God! I rejoice with you and am praying for you and your family. I have been away a bit but trying to get back on a regular basis......will be praying. Thank you Patrina for dropping by my Blog site and leaving your great comments. Please come again soon. The conversation is uplifting and informative. We give the Lord all the prasie but we get blessed too. So good to hear about you and your dad. I only have my dad left and each day is one more blessing for me ... I get a be a son. Wow! Our God is worthy to be praised! Recently I wrote a devotional about this very thing - speaking out loud what we desire! We shall have what we SAY! Praise God!!! I've come over a couple of times but really wanted to read this slowly. I am so happy for you sis. God is so good. Yes, He is good all the time. All of His actions are for good purposes. This is beautiful--with the bird's name and all. I love it when God just shows up in the details. He's always in the details, we just have to look closely. Thank you for your encouraging message on my post about relationships. I'm glad I'm not alone. Love you my friend. Have a blessed day. Praise Him for evermore! What a wonderful, amazing Abba Daddy we have.....so Faithful, so constant and true!! Rejoicing with you for ministering to you and your Dad in such real, tangible ways....confirming His love, healing strength and power and strong hand upon you! Oh what a wonder He is! I, too, have been pretty much MIA since my mom's stroke April 8th. 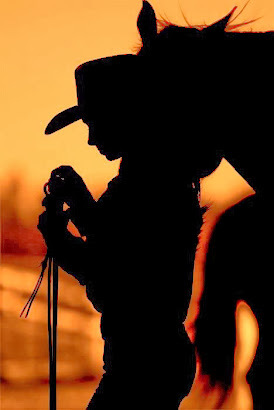 I've posted occasionally as the Lord leads and did some blog visits but otherwise have been consumed with the "stuff" of life since her stroke. She's now in a nursing home and adjusting (with the Lords help). But I'm usually there most everyday to assist in her care. Sometimes I feel it would be better to have her home with me, but due to her special wound care needs she had to be in a specialized facility. Healing well now, PTL, but unable to walk (dropped foot, and complications from Parkinson's) and pretty much confined to a wheel chair with therapy. I'm so glad to have caught up with you now and praying for a fresh anointing of peace, rest and strength upon you as you care for your Dad and God's healing power upon him as well. May He minister to your's and your dad's every need!! Luv, Hugs and Sweet Blessings! just came by to say, "hi" and "thank you"
Beautiful and moving testimony. With God all things are possible. Rejoicing with you. Thank you for coming by my blog and the sweet comment. I have come to the knowledge that my grief for Dad will remain with me until I see him again. I have cared for him and Mom for 8 years now and 3 of those years right in my back yard. It will be hard for me not to walk across the yard and give him a hug.... Mom is home with me but we are looking for a good place for her to live. Mom has Alzheimer's/ Dementia and needs 24/7 that I am not able to give. I guess I will grieve for her going also but hoping she will be close enough for me to go and see often. Do you care for your Dad 24/7. What a wonderful thing that is. I will pray for the Father God to give you strength over and above any that you might imagine. in our back yard and we so enjoy watching them on the feeder... They are quite beautiful. Well I did not intend to write a letter so I will close and say a thank you again for your sweet comments. Came by for a visit and am glad I did to be able to read a fuller account of what's been happening for you and your dad. Wonderful to read the encouragements God has given and continues to give. Bless you both. I've been out of pocket for awhile, but just came over to check on you and you have 'blessed my socks off' with this beautiful blog!! You can count on the prayers to continue, and your willing heart and obedient spirit just shines! Blessings & love to you and 'dad'! I just thought to check up on you. How are you doind? You've been on my heart and I just wanted to stop by to let you know that I'm praying for you and your dad. May you sense His sweet presence and abiding love, hope, strength and encouragement each day! PS...the word verifi. word is "chickes".....This is what came to my mind.....You are hidden and protected under the shadow of His wings as His precious "chick".....rest sweet friend tucked under His shadow! Just came by because I missed you. Wondering what you have been up to. I'm actually taking a little break from regular stuff on blogging but visiting sweet friends. Hope you and your daddy are well. Love and blessings. What a beautiful and colorful blog. I'm so glad you stopped by. I'll be stopping by here again. 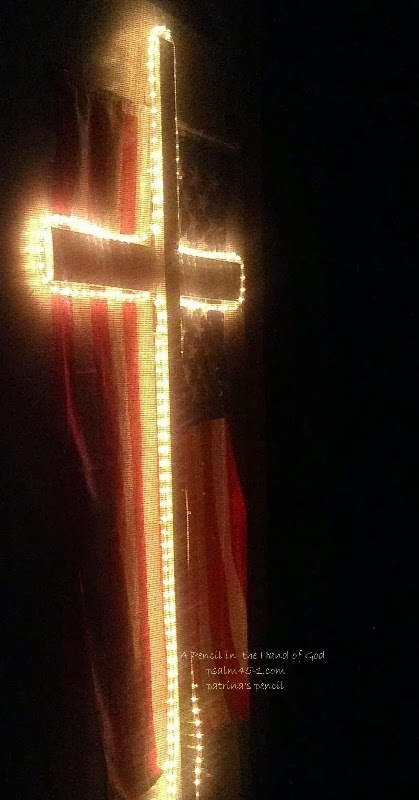 Thanks for sharing - God is doing great things! Praying for you and your father. What a wonderful testimony of faith. God bless, I'll be checking back. Just to say hello! How are you? How is you Dad? I believe all is well! Stay blessed! A profound work of grace going on in your heart and life, your father's as well. Thanks be to God for the indescribable gift of life he bestows on each one of us, and through his strength, enables us to go on to higher heights and depth of understanding. You are a strong woman of faith, and I so very much appreciate your taking the time to encourage my feeble heart this day. Blessings, friend. I can't thank you enough for the comment you left on my blog! It brought tears to my eyes. I think it was when you said you had read one of my comments on another blog and you "had to come and meet me"! That was so dear to my heart. Especially as I have been feeling lately that I'm really not doing much to help or encourage anyone. Just finished reading this post of yours and was amazed. Hope things continue to improve with your Dad's help. Sounds like he has the best caregiver possible in you!!! So nice to meet you and I hope we will "talk" again soon! I hopped over from Stephanie's blog where you left an encouraging comment on my guest post...thank you! Oh how difficult it must be for you as you seek to be a help to your afflicted Dad! BUT...I see that your hope is in the LORD...how precious that is!! Keep on looking to HIM for all you need...day by day and moment by moment.